From 1977-81 he was legal advisor to the chairman of the International Trade Commission. From 1981-89 he was a staff member of the U.S. House Ways and Means Committee, serving as staff director of its Subcommittee on Trade and later as Assistant Chief Counsel of the full Committee. From 1989 to 1995 he was a Deputy United States Trade Representative (USTR), serving first in Geneva as U.S. ambassador to the General Agreement on Tariffs and Trade (GATT), and subsequently as Deputy USTR in Washington. He played a key role in the Uruguay Round Negotiations, and was later responsible for overseeing the Clinton Administration's efforts to obtain Congressional approval of both NAFTA and the WTO Agreement. After leaving government service In the mid-1990s, he was a resident partner in the Brussels office of Akin, Gump, Strauss, Hauer & Feld, where his practice focused on international trade and European regulatory matters. In 2002 he was appointed to serve as Deputy Director General of the WTO, a position he held until 2013. During this time he was also a lecturer on U.S. trade policy at the World Trade Institute (WTI) in Berne. After retiring from the WTO he joined the faculty of the Middlebury Institute of International Studies (MIIS) in Monterey, California as a visiting professor. On March 9, 2016, the National Foreign Trade Council (NFTC)'s board of directors announced Yerxa would serve as the organization's new president effective May 9, 2016, succeeding Bill Reinsch. ^ "BIOGRAPHY OF RUFUS H. YERXA" (PDF). S3.amazonaws.com. Archived from the original (PDF) on 2016-09-11. Retrieved 2017-05-06. ^ "Home". Nftc.org. Retrieved 2017-05-06. 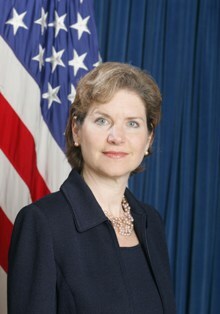 Charlene Barshefsky served as United States Trade Representative, the country's top trade negotiator, from 1997 to 2001. She was the Deputy U.S. Trade Representative from 1993 to 1997. She is a partner at the law firm of Wilmer Cutler Pickering Hale and Dorr. She is also an advisor at Moelis & Company. Peter Frederick Allgeier was the U.S. Deputy Trade Representative from May 2001 until August 2009. Allgeier was also the President of C&M International, Ltd., an affiliate of Crowell and Moring LLP, a law firm with offices in Washington, D.C., California, New York, Brussels, and London. He has been the President of the Coalition of Services Industries (CSI) since 2012. Robert W. Holleyman II was confirmed as the United States Deputy Trade Representative, with the rank of ambassador, in the Office of the United States Trade Representative in September, 2014. He served in that position until January 2017. Previously he was the President & CEO of the Business Software Alliance (BSA), the trade consortium which represents the interests of major software houses globally. Susan Carol Schwab is an American politician, who served under President George W. Bush as United States Trade Representative from June, 2006 to January, 2009. Karan Krishna Bhatia is an American attorney and former senior official in the Bush Administration. He was the Deputy U.S. Trade Representative from 2005 to 2007, credited with leading the negotiation of the US-Korea Free Trade Agreement. Additional appointments include Assistant Secretary of Transportation for Aviation and International Affairs where he served from 2003 to 2005 and Deputy Under Secretary of Commerce for Industry and Security from 2001 to 2003. He served a total of six years in the Bush Administration before returning to the private sector in 2008 to lead Government Affairs for General Electric. 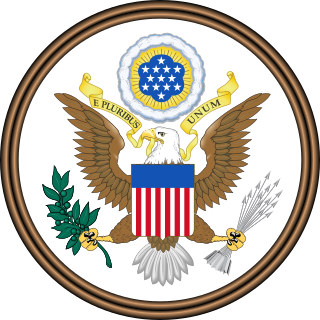 Robert Emmet Lighthizer is an American attorney and government official who is the current United States Trade Representative. Dennis Shea is an American lawyer and government official who is currently serving as the Deputy United States Trade Representative and Chief of Mission of Geneva where he represents the United States as Ambassador to the World Trade Organization (WTO). Shea previously served as the vice chairman of the United States-China Economic and Security Review Commission. In July 2017, U.S. President Donald Trump nominated Shea as Deputy U.S. Trade Representative.